Since 1989, Laser Line has been the most trusted printer service providers for businesses in the Jessup, MD, area, with the likes of Johns Hopkins University and the University of Maryland among their clients. They're known for offering top-of-the-line printers and copiers. While Laser Line does offer printer and copier repair services, sometimes, a machine reaches a point where it simply needs to be replaced. However, just like batteries, computers can't simply be thrown in the trash. As a leader in the copier and printer service industry, Laser Line understands the impact that electronics have on the environment. 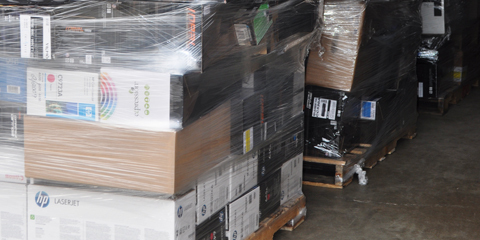 With all their different and complex components, computers need to be disposed of properly; unused computers are even classified by the EPA as hazardous waste. In a landfill, computers, printers, copiers, and other similar devices can eventually leak carcinogens and other toxic materials into soil, thus contaminating the groundwater. Incineration isn't an option either, as it can release the same carcinogens and hazardous materials into the air. Also, certain monitors and components contain lead soldering; burning these items will release the lead into the atmosphere. Inhaling it can result in lead poisoning. Nowadays, it's easy to take your old computer to a recycling center. Not only will its toxic parts be disposed of properly, but the other components made of plastic, tin, silicon, and aluminum can be separated and recycled properly as well. Another alternative to recycling is donation. Charities and other organizations may be in need of that computer or device that you no longer need. Also, more often than not, that donation will be tax deductible. After you've properly discarded your outdated printer or copier, Laser Line can provide your business with the newest, best choice for you. For more information on their inventory and copier and printer services, visit their website or call them today at (410) 636-1700.